But on 2.3 with the same parameter (i tried) i get bad surface with like "ringing". I tried différent config and I get always this. Does anyone observes these zigzags ? Does anyone know which parameters influence these zigzags ? 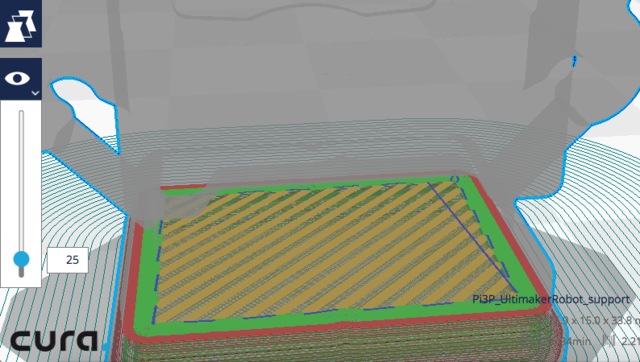 Those yellow parts are simply top/bottom skin infill. 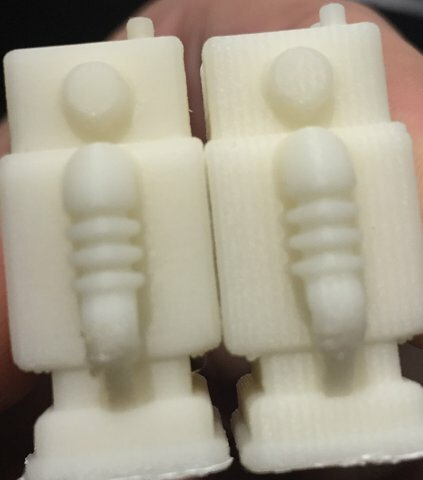 Are the skin settings the same across both cura versions? It could be coming from infill being printed before perimeters. 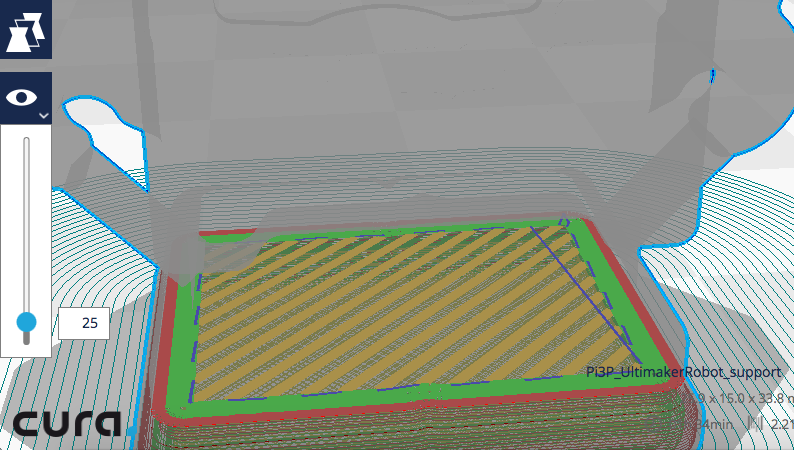 Try unchecking "Infill Before Walls" under "Infill" and see if that makes a difference. You probably need to add that setting and you can do that by hovering over the "Infill" header and clicking the little icon that pops up to the right.